It’s 2020. Since the UK’s withdrawal from the EU, dodgy politics, austerity and civil unrest have left the streets of London in turmoil. A new coalition between the Conservatives and UKIP has driven house prices to an all-time high. 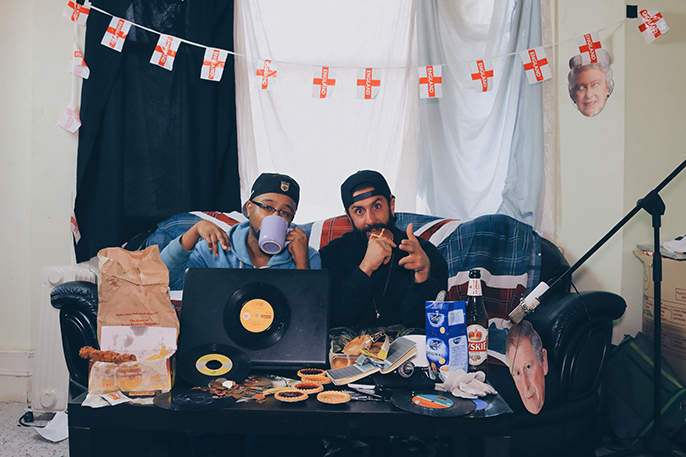 Two local rappers (Dr Green Fingers & Dustin Roads) find themselves in the last ‘affordable’ housing block in London. They have to work two jobs to make ends meet, options are thin, and as they flirt with the idea of leaving their home, sparking revolution or a life of crime, they can’t help but dissect the politics that have surrounded them the past 10 years. A Grime concept concert that brings the truth from ground level. Expect MP rap battles, tactics for revolution and a dealer’s guide to inflation. Merryville is an honest account of what it means to live as a born and bred Londoner when the housing crisis, inflation and dirty politics continue to force us out of our city. HighRise is a theatre collective of actors, directors, facilitators, choreographers, writers, musicians, rappers and anything else they can show off with, that seeks to spark conversation and build bridges between forgotten communities by representing the rhythm of the streets. With family roots spreading five continents, the company has an eclectic and dynamic approach to telling stories.. HighRise’s core aim is to use inner-city memories, culture and music to give the unheard a voice through theatre.